Oscar age 11 I 爱情 watching Stampy's 《我的世界》 let's play videos!!!!. 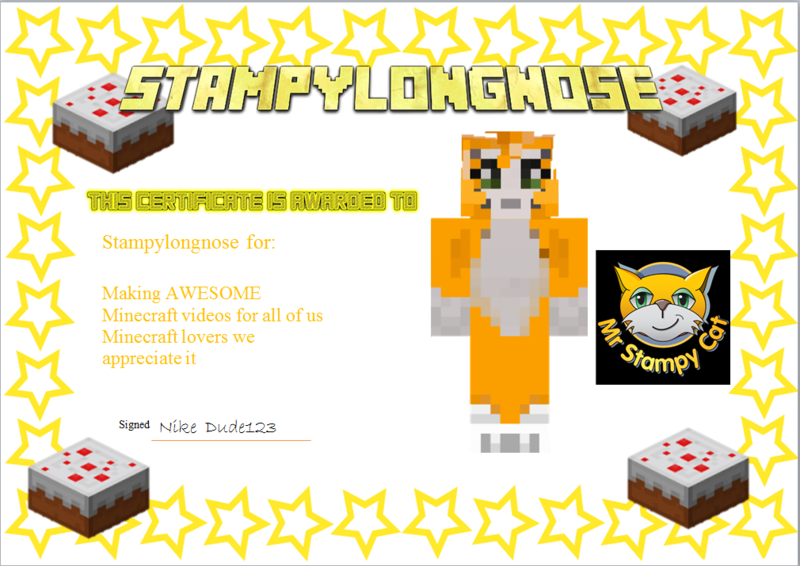 stampylongnose certificate for AWESOME 《我的世界》 视频. 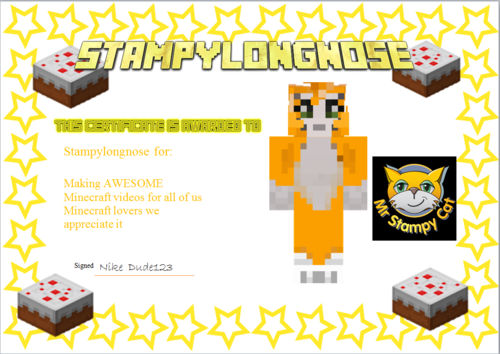 HD Wallpaper and background images in the stampylongnose club tagged: photo. Oscar age 11 I 爱情 watching Stampy's 《我的世界》 let's play videos!!!! Eye 爱情 Mr. Stampy Cat! Are 你 a Stampy Cat fan?